We have a team of highly-trained professionals who are dedicated to keeping customers happy. When it comes to broken cable repair and replacement, we guarantee satisfaction every time. Our goal is to build your trust and offer fast and effective solutions to solve all of your garage door repair needs. Call now and our licensed technicians will get your broken garage door cables fixed quickly. And you can always count on friendly service and upfront prices with Pros On Call! We are one of the most successful companies for security solutions and that includes all types of garage door services. And that means if you need broken cable repair or replacement services, you can rely on us to get the job done. We have a team of highly-trained professionals who are dedicated to keeping customers happy. When it comes to garage door repair, we guarantee satisfaction every time. Our goal is to build your trust and offer fast and effective solutions to solve all of your garage door needs. 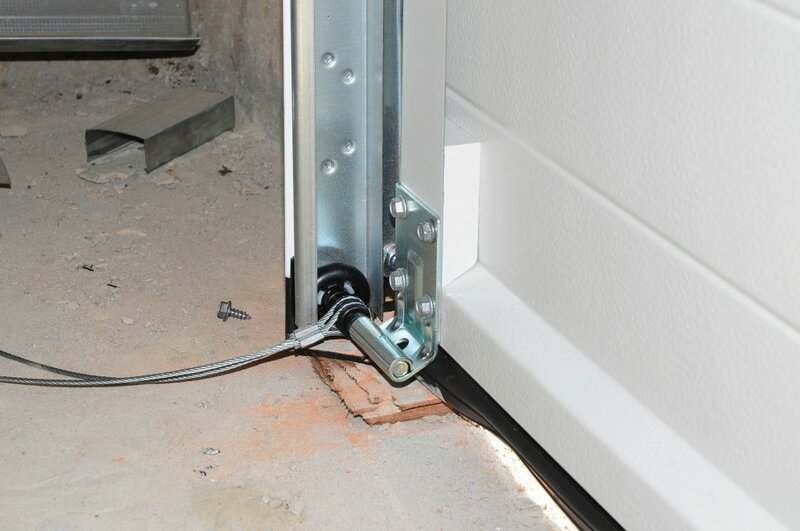 The purpose of your garage door cables is to allow your garage door to open and shut. When they do not work properly there is a serious risk of damage to your property and your safety. Broken garage door cables mean that you no longer have control of how your garage door opens or closes. Due to important safety concerns, it is always best to have emergency garage door professionals like us handle the situation. Most homeowners use their garage door more than any other entrance to their home. Since this is the primary entrance, it should be in good working order at all times. Because the garage door is used so often, it’s only natural that it accumulate a fair amount of wear and tear on the cables. The door itself can malfunction along with the garage door opener. And if you are having trouble with your garage door cables, call our mobile team of emergency garage door professionals who can provide quick evaluations and repairs. There is a chance that the cable is simply disconnected and needs to be reattached to the pulley. Or maybe the cable is worn out, in which case it should be replaced right away. Simply put, before we can determine the most efficient and cost-effective way to help you, we will carefully examine the cables to find out where the issue lies. Because our mobile units are outfitted with all of the latest tools and equipment on the market, we can fix or replace your broken cables fast. When we replace your cables, we first remove the old ones. And we take special safety precautions such as using a vice grip on the tracks. This prevents the door from slamming down. If possible, we will make repairs to your cables and then re-attach them. In some cases, we may need to replace your cables altogether. We have years of experience and the proper tools needed to replace your cables quickly. And before any job is complete, we will ensure that everything is working and up to your standards. Residential garage doors often malfunction. There are a number of ways they can break down or operate in a less than efficient manner. Rollers on the doors and springs can become squeaky and unhinged over time. In some cases, squeaks can be fixed with a few shots of lubricant spray. Rollers can be popped back in. But in many cases, a professional needs to be called in to evaluate the situation. We service top brand name garage doors! Frayed and broken garage door cables can pose a serious danger. This issue must be addressed as quickly as possible. We install many of the top brands including Clopay, SkyLink, Genie, Overhead Door, and Raynor. Garage door cable repair requires extensive training from experts who possess the skill to get your in working condition in no time. Pros On Call offers a full range of garage door services. We can do everything from simple installations to the repairing of garage door cables. Our trained experts offer some of the fastest and most reliable services in the industry. We are fully licensed, bonded, and insured for your protection! So whether you need a sensor adjustment, a new garage door opener or garage opener repair, we can do it. Garage door cable maintenance will also help you to keep the door functioning at a high level. And this will help save you money in the end. Call now to learn more or request our garage door cable repair services online. 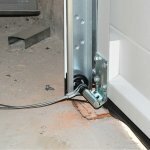 Broken Cable Repair https://prosoncall.com/garage-doors/repair/cables/ 4.1/5 based upon 24 reviews.